Home » Toys » Puzzles » Kyjen Dog Toy Puzzle Plush- Hide-A-Squirrel Jr.
Kyjen Dog Toy Puzzle Plush- Hide-A-Squirrel Jr. This unique, interactive toy is designed to challenge as well as entertain! Dogs will have hours of fun while sharpening their cognitive skills at the same time. Durable design and craftsmanship ensures long-lasting puzzle-solving fun! 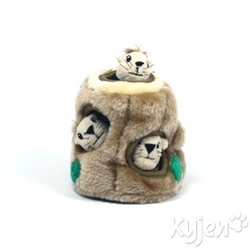 Tags: Kyjen Dog Toy Puzzle Plush- Hide-A-Squirrel Jr.